Throughout the United States, the fall season brings with it the hunting season. Hunting is a popular outdoor activity that appeals to people of all ages. 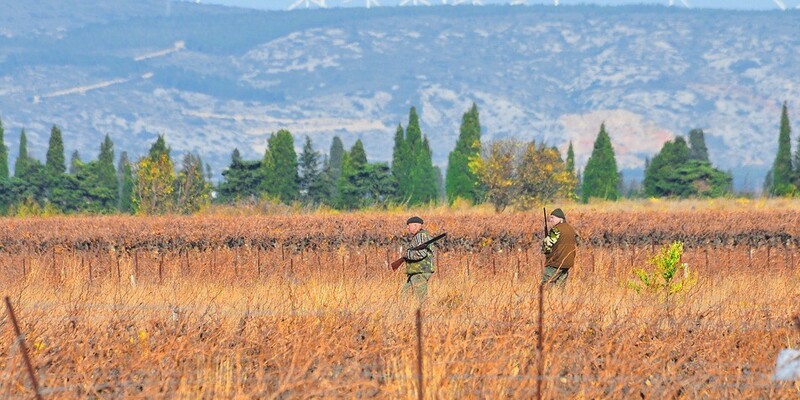 Hunting safety is of utmost importance regardless of how long you have been hunting. Whether you are going alone, with a group of people, or with kids, the main thing to remember is to know your safety guidelines in and out. This hunting safety resource guide is a great one-stop source for many different links that will lead you to articles, tips, strategies, products and much more that will give you all the hunting safety information you could want. Bookmark this resource guide so you can find it easily when you are looking for tips on how to stay as safe as possible while outdoors during hunting season. You will appreciate the information we have provided for hunting enthusiasts so you can stay safe while engaging in this challenging and exciting activity. Below are links that provide basic hunting tips that can apply to all types of hunting in any area. Safety is the number one thing to keep in mind when you are on a hunting trip. Learn all about the basics below. 40 Hunter Safety Tips for a Safe Hunting Season – Here are 40 great safety tips to commit to memory and teach anyone going with you to ensure a safe and enjoyable hunting experience for all involved. Hunter Safety Tips – A resource from the Georgia Department of Natural Resources that provides hunters in the state of Georgia with important safety tips from general hunting safety to tree stand safety. Lots of great tips here. 10 Safety Tips for All Hunters – Ducks Unlimited sponsors this information article featuring ten safety tips that apply to all hunters. The motto of an ounce of prevention is worth a pound of cure is what hunting safety is all about. Hunter and Non Hunter Basic Safety Tips during Hunting Season – Basic hunting tips that will ensure a great hunting experience. Also includes non-hunter tips for those who love the outdoors but do not hunt. It is not only the hunter’s responsibility to keep safety in mind when you know you are out during hunting season. Responsibility to Non-Hunters – When hunters are around non hunters there are some important things to think about. This link suggests tips to avoid making non hunters feel uncomfortable. How To Play Safe During Hunting Season – Basic hunting tips for hunters and advice for non-hunters as well to make your hunting season safer and enjoyable. Hunter Education Requirements in the United States and Canada – Learn what the hunting education and safety requirements are for your state. This resource has every state’s requirements listed. Some people like to go out into the great outdoors alone but it may not be the safest idea. If you are one that likes to hunt by yourself, read these resources to learn the safest way possible to hunt when you are by yourself. Hunting Safety | How Safe is Hunting by Yourself? – Should you hunt alone? This article will tell you. Going It Alone – Hunting Solo – Thinking of going hunting by yourself? Read this first. Ask Bowhunter: How Can I Stay Safe While Hunting Alone in the Cold? – Good advice from Bowhunter on hunting alone safely and the preparation it takes before you ever take one step out in the field. It’s always possible to get disoriented while out in the forest hunting, especially if it is a new area you are hunting on. There are many resources available with tips on staying safe if you get lost and pointers on what you can do to reduce the chances of that happening. If You Get Lost – Getting lost can be a scary, serious situation. No hunter no matter how experienced they are should ever think they are immune from getting lost. These resources will tell you how to safely deal with this situation and what you can do to avoid getting lost in the first place. What to do if You Become Lost While Hunting – Hunting in the great outdoors can be a thrilling, exciting experience unless you become lost while out in the woods. With the right strategy and safety tips in mind, you’ll be able to safely navigate this problem and be home in no time. Orientation in the Woods: How to Avoid Getting Lost While Hunting – Resources on what to do to avoid getting lost while you are out hunting. How to Survive if you Get Lost Hunting – Do you know how to survive if you get lost while hunting? Even though it is not a common occurrence and is becoming less common as people get more GPS equipment that they bring along with them, there are survival skills that are needed to keep you safe from harm if you have to be out in the forest alone all night. Top 10 Tips to Avoid Getting Lost While Deer Hunting – Learn these 10 important safety tips that can help you avoid getting lost while deer hunting. Deer hunting is one of the most popular forms of hunting. Below we have provided links to this type of hunting so you know how to keep yourself and anyone around you safe. Deer Hunting Safety Tips – Prefer deer hunting? Here is a resource that provides hunting tips specific to deer hunting but can be applied to any type of hunting. Safety Tips To Ensure While Deer Hunting – learn all about deer hunting safety tips that will keep your hunting trips safe and enjoyable. Hunting bear is an exciting and potentially dangerous activity. Below are links that provide safety tips for bear hunting so you can enjoy this activity and remain safe as well. Bear Hunting Safety – Hunting a bear isn’t like hunting a deer. Here are some bear specific hunting tips to help keep you safe. Bear Hunting Tips: Stay Safe on The Hunt – Planning ahead is very important when it comes to bear hunting. Deer are prey animals so they typically run when they sense danger. A bear, on the other hand, can become the danger all on its own. Learn how to hunt bear safely. Bear Hunting Safety Tips – Bears can be very dangerous and even deadly creatures. Here is some information on how to stay safe while engaging in bear hunting. Bear Safety Rules in Bear Habitat –If you are elk or deer hunting you need to be aware that it can be a bear’s habitat. Here are some bear safety tips that will help you prevent a bear attack or help you if you encounter one. Turkey hunting is another popular form of hunting that people enjoy every year. Do you know how to stay safe while turkey hunting? These links will tell you. Turkey Hunting Safety – Several good tips for safe turkey hunting. Realtree Turkey-Hunting Safety Tips – A lot of great information here about safety while turkey hunting so you are ready for your first or next turkey hunt. 9 Vital Turkey Hunting Safety Tips From Hunter-Ed (video) – Take a look at these 9 critical safety tips to follow for safe turkey hunting. There is a video with this link as well. Feral wild hogs can be very dangerous if encountered unprepared. Hog hunting is very popular with many hunters but it is important to know the safety tips that can keep you and your hunting party safe. How To Stay Safe While Feral Hog Hunting – Informative safety tips for hunting wild hogs. Stay Safe on Your Wild Hog Hunt with These Tips – If you are hunting wild boars, it can be an exciting and exhilarating activity but it can also be dangerous. Check out these wild hog hunting safety tips below. Wild Hog Hunting: Safety Tips and Information – Whether you are new to wild hog hunting or have been doing it for years safety is very important when tracking and hunting these feral animals. Here are some safety tips that can be helpful. There are many different types of hunting that involve birds: quail, pheasant, duck, dove… whichever type of bird hunting you want to engage in, there are safety things to think about. These resources tell you what you need to know. 16 Shotgunning Safety Lessons for Every Duck Hunter – Keep you and your hunting companions safe in the blind this bird hunting season with these 16 shotgun safety lessons. Hunter Safety Rules for Pheasant Hunting – Learn the safety tips necessary for keeping pheasant hunting safe and enjoyable. Pheasant Hunting Safety – Excellent tips on staying safe while pheasant hunting. BLM land and public lands like state parks and national forests that allow hunting can also have non-hunters around camping, hiking, swimming, and bird watching. As a hunter, it is important for you to be aware of the laws and safety requirements that these public lands have. Everything you need to know about hunting on public lands – Hunting on public land has additional considerations in regards to safety due to the people that will be using the land also who are not hunters. This resource tells you everything you need to know. There are several pieces of safety equipment that you will need for your hunting trips from the standard orange hunting vest to a first aid kit. Do you know everything you will need to have on hand? Below, these links will provide you with the type of safety equipment necessary to aid in having a safe hunting experience along with recommendations for specific hunting safety equipment recommended by experienced hunters. Tree Stand Safety | The Most Important Piece of Hunting Equipment – The tree stand is one of the most commonly used pieces of hunting equipment. Here is some great hunting advice when using this popular piece of equipment. FREE Treestand Safety Course – A free treestand safety course that takes just 15 minutes to take. This is the only treestand safety course recognized by the TMA. Viper SD Climbing Treestand by Summit Treestands – with a weight capacity of 300 pounds and a high customer rating, this treestand by Summit Treestands is one of the safest, reliable stands on the market. Hearing Protection While Hunting – Many hunters forget all about protecting their ears when out in the field. Here is an article about this important safety tip and what to do to protect your hearing. Howard Leight by Honeywell Electronic Shooting Earmuff – One of the most popular pieces of ear protection for hunters. Top ratings and reviews with experienced hunters. TRADESMART Shooting Ear Muffs – This complete pack includes safety glasses, ear muffs, ear plugs and a case for protecting your eyes and ears when out in the field. Monoki First Aid Kit – Every hunter should carry a first aid kit. Here is an excellent kit designed for outdoor enthusiasts. Great for your hunting trips. Take care of your ears while hunting! Ear protection is one of the most important safety aspects you should look at. Here is a great resource on ear protection for hunters. CHANGKU EILIKS Emergency Survival Kit – You never want to get lost or have something happen while on a hunting trip, but sometimes things go wrong. For this reason, it is important to have a good, stocked survival kit on hand like this popular one that hunters can stick right in their pack. BARSKA Quick Access Biometric Rifle Safe – Firearm safety begins with where you store your hunting firearms when you are not using them. This popular rifle safe will keep your kids and family safe while keeping your firearms safe as well. Bow hunting is a popular and challenging form of hunting that many engage in. Below are links that provide safety tips for this increasingly popular form of hunting. Bowhunting Safety – From the Michigan Bowhunter Education Course; valuable safety tips to follow when bow hunting. Bow Hunting Safety by Cobra Archery – Bow hunting is fun but it can be very dangerous if certain safety guidelines are not followed. Here are some basic safety rules and guidelines for bow hunting. Primary Rules of Bowhunting Safety – Know what to do and how to conduct yourself when hunting with a bow. Bow Hunting with Kids – A great book about bow hunting with kids. Covered topics include gear, safety, history, and more. Hunter Safety System Bow hunter Harness – A popular safety system for bowhunters that is used by experienced bow hunters with high reviews. Obviously, one of the most dangerous aspects of hunting is the firearm. A hunter that is not comfortable with a rifle or who doesn’t take firearm safety serious can be a real danger. Take a look at the links below to learn about firearm safety while on the field. The Ten Commandments of Firearm Safety – This link to the Minnesota Hunter Education Course provides information on hunting firearm safety. These ten ‘commandments’ will provide valuable firearm safety info for the field. Safe Zone-of-Fire – Learn where the safe areas are to shoot when you are hunting. Responsible Hunting – Goes over the four main safety tips regarding your rifle when out hunting. Basic Firearms Safety is a Must for Hunting – Knowing firearm safety is a must for anyone wanting to hunt with a gun. Here is some information that will help you get started with this important task. Firearm Safety – Firearm safety is paramount when it comes to hunting and it starts at home with where you store your hunting firearms. Transporting Firearms – Transporting your hunting firearms safely is just one of the many things you will need to learn and do when hunting. This resource provides tips on how to transport your firearms in the safest possible way. Safely Carrying Firearms While Hunting – When you are traipsing through the woods looking for game, you want to ensure that you are carrying your firearms the safest way you can. This resource tells you how. Crossing Obstacles with Firearms – Sometimes you will encounter fences or rough, rocky terrain while you are hunting. Check out these tips that will help you navigate rough terrain while you are carrying your firearm so you and those with you stay safe. There are some types of clothing that you will want to outfit yourself with before you go hunting. While it is important to blend into your surroundings, you don’t want to be mistaken for game so make sure you take a look at these resources for tips on what to wear to stay safe. Dressed for the Hunt – Tips on the right clothing to wear to keep yourself comfortable while you are out hunting. Choose the Right Clothing for Deer Hunting – What should you be wearing when you are out deer hunting? This article will tell you. The Truth About Why Hunters Wear Orange? – Why DO hunters wear orange? This article tells you the history behind hunters wearing orange and what it means. Primos Gunhunter’s Vest – The perfect orange vest for your hunting excursions to ensure you are in compliance with your state’s orange requirements. Not everyone who spends time outdoors in nature is a hunter. It is not just the responsibility of the hunter to ensure safety while out in nature. Below are some helpful resources that will provide information and safety tips to non-hunters as well so they can do their part to stay safe during hunting season. Hunting Safety: Information for Hunters and Non-Hunters – This document provides non-hunters and hunters with the proper safety information to prevent accidents and problems while engaging in outdoor activities. Hunting Safety Tips for Non-Hunters – Even if you are not a hunter, if you spend a lot of time outdoors, it is important that you know these important hunting safety tips to keep everyone safe while engaging in different outdoor activities including hiking, camping, and other fun things. Tips for Hunters and Non-Hunters – Important tips for non-hunters and hunters alike provided by the US Fish and Wildlife Service. 4 Hiking Safety Tips for Hunting Season – Love to hike? Learn four important safety tips to follow when hiking during the hunting season. If you are from a family of hunters chances are you started hunting when you were pretty young and will carry that tradition on with your own kids. Teaching your kids proper hunting safety is critical for their safety and yours. Take a look at the resources below to learn some good tips to teach your kids and other youth about hunting safety. What Age Kids Need to be to Hunt – A comprehensive, state-by-state guide on age requirements for kids who want to hunt. 10 Tips on Taking Kids Hunting – Taking your children hunting can be an exciting and rewarding experience for them but it is paramount that they know hunting safety. Here are ten tips to consider and teach when taking kids on a hunting trip. Youth Hunting: A Smart Parent’s Guide to Safely Hunting with Kids – An informative article about the benefits of taking youth hunting with you and what you should keep in mind and teach them about hunting safely. 10 Mistakes Adults Make When Hunting with Kids – How you introduce hunting to your kids is very important if you want them to want to go with you again. Here is an important article about the ten common mistakes that adults make when they take kids hunting. Hunting Checklist for Families – An important checklist to go over with your family when taking the kids on hunting trips. Want to do more than just have a basic understanding of hunting safety? If you are looking for certification or courses that will help you improve your safety knowledge take a look at the links below. More than likely your state will have some type of hunting safety course or certification that you can obtain. Which Hunter Safety Course Is Right For You? Want to learn about hunting safety? Want to ensure that you teach your kids the right way to conduct themselves while out in the field that will keep them safe? Here’s how to choose the right hunting safety course for your specific needs. Official Hunter Safety Courses for Today’s Hunter – This great site has hunter safety courses for all fifty states that will teach game identification, responsible firearm handling, and important hunting laws and regulations. Youth Hunter Education Challenge – This link takes you to the Florida Youth Hunter Education site where youth residing in Florida can learn about hunting safety, leadership, and ethics while they increase their conservation, hunting, and target shooting skills. Hunter Safety Course Manual – This hunter safety course provided by the state of Connecticut, offers a thorough knowledge of hunting from the basic laws to how to make a safe, clean kill that won’t leave the animal suffering. Hunter Education Courses – An Ohio based hunting education course to understand the ins and outs of hunting, hunting safety, and other important hunting based information. Hunting and Firearms Safety Courses – Live in Canada? Here is a resource that will provide information about firearms and hunting safety courses you can take. BinocularStop.com is a participant in the Amazon Services LLC Associates Program, an affiliate advertising program designed to provide a means for sites to earn advertising fees by advertising and linking to amazon.com, amazon.co.uk, amazon.ca. Amazon and the Amazon logo are trademarks of Amazon.com, Inc. or its affiliates.